Here’s a word of the day for you: Phytogeography. Phytogeography is a branch of biogeography that investigates the geographic distribution of plants and the effect that the earth’s surface has on that distribution. To go further down the rabbit hole, biogeography studies the distribution of species and organisms now and throughout time. This research reveals important interdependencies between geology, climate, dispersal and evolution. Wallace’s map, showing the zoogeographical regions of the world. The Geographical Distribution of Animals. v.1 (1876). http://biodiversitylibrary.org/page/30228507. Alfred Russel Wallace is commonly known as the “Father of Biogeography.” Although not as famously recognized as Charles Darwin, Wallace actually came up with the theory of evolution by means of natural selection independent of and simultaneous to Darwin. Wallace spent a great part of his career in South America and the Malay Archipelago. During this time, his observations on distribution, breeding, and migration tendencies helped him develop a theory of evolution incorporating the influence of geological barriers on speciation. He also argued that species abundance was directly related to food availability. Today, biogeographers are largely interested in how environmental factors and human activities influence species distribution. Biogeographic change and insight offered by historical data are a long-time passion of Dr. Quentin Groom, research assistant at the Botanic Garden Meise, Belgium. His particular interest is phytogeography, especially as it relates to the interaction between humans and plants. Dr. Quentin Groom, research assistant at the Botanic Garden Meise, Belgium. The ability to access this digitized literature is only part of the greater picture of facilitating efficient science and discovery. Intuitive search capabilities and the opportunity to augment existing files are other features Groom would like to see within BHL and the larger bioinformatics community. “I feel [BHL] is just one step in the full digitization and semantic annotation of biodiversity literature. I’d like to be able to add annotations [to BHL]. [The ability to] search by location name and taxon name would be useful, even if the location names were only countries. 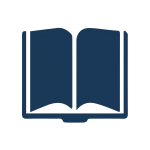 It might [also] be useful to have the ability to add internal links within BHL to connect citations within one document to their source in BHL,” mused Dr. Groom. 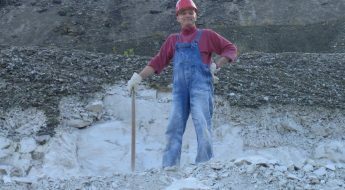 The Mining Biodiversity project, funded by an IMLS Digging Into Data grant, is currently working to address some of these requests. The project aims to create a next-generation digital library by enriching BHL with semantic metadata through deployment of advanced text-mining techniques. This data will be used to support a semantic search system enhanced with clustering and visualization tools. The idea is that a user will be able to search not only for species, but also filter the results for references to habitat, diet, predation, and related facets. 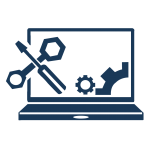 The result will be fully interlinked and indexed access to the full content of BHL library documents, allowing users to locate precisely the information of interest to them in an easy and efficient manner. Furthermore, the project is exploring ways to make BHL more “social”, allowing for collaborative curation where users can easily share and discuss our collections. This will not only facilitate expanded reuse and discovery of our material, but will also allow us to evaluate how our content is being used around the globe and by whom, and better measure its impact on biodiversity awareness. The Mining Biodiversity project runs through December, 2015. As we continue to improve our collections and services, you can explore our collection of over 44.8 million pages of biodiversity literature spanning over 500 years of research and discovery. Red Deadnettle (Lamium purpureum) from one of Dr. Groom’s favorite BHL books, Flora Londinensis, v. 1 (1777). http://biodiversitylibrary.org/page/40966493. Amongst all that content, what would a phytogeographer choose as his favorite items in the collection? “Linnaeus’ Species Plantarum is an inspiring work. Flora Londinensis by William Curtis makes common weeds special with its illustrations. I also have a soft spot for literature from Northumberland where I used to live,” mused Quentin. Indeed, Dr. Groom recently republished the Flora of Northumberland and Durham (Winch 1831) as an online, semantically enhanced Pensoft “Advanced Book” using the scan originally taken from BHL. The Flora provides valuable insight into how biodiversity in North-east England has changed over time. 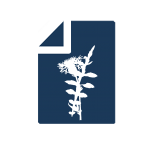 Dr. Groom recently submitted another paper using data gathered from BHL, entitled “Piecing together the biogeographic history of Chenopodium vulvaria L. using botanical literature and collections”. The paper charts the distribution of Chenopodium vulvaria over more than 200 years and uses old literature to understand how its habitat may have changed. All of the observations extracted from the literature were georeferenced and are available on GBIF. You can view a preprint of the paper in PeerJ. The digitization of historic literature, and its enhancement using semantic and linked data, is revolutionizing scientific research, connecting scientists to relevant information more efficiently than ever before. Through continued dedication to open access, BHL and like-minded projects will continue to inspire discovery through free access to biodiversity knowledge. 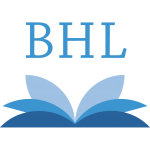 We extend a special thanks to Quentin for not only describing how BHL is currently impacting his work, but also for revealing important ways that we can improve our library. Do you have ideas about how you would like to see BHL improve? 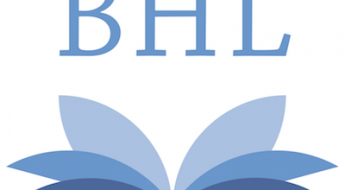 Would you like to tell us about how BHL has impacted your own research? Then send us some feedback!